David A. Klein Real Estate specializes in full-service, professional association management. We provide a wide range of services which can be customized for each client. We complement your board of directors in the many responsibilities required to provide your administrative services. 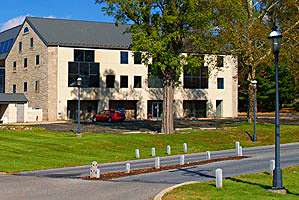 We have extensive knowledge of the PA Uniform Condominium Act (PUCA), Uniform Planned Community Act (UPCA), contract negotiations, the legalities of association management, financial management expertise, budgeting, and replacement reserve estimation. We have organized associations from scratch, assisted in writing association documents, formulating initial budgets, and working with developers and attorneys. As your organization continues, we review association documents, write resident handbooks, and recommend (and draft) amendments to your association documents. Our goal: to clarify and simplify the management process. Is your association hamstrung by complex accrual basis financial statements that are nearly impossible to understand? We specialize in producing clear, concise, easily-understood financial statements and expense analyses that are easily understood. We know how important open channels of communication are to a well-run property owners association. We work with you to help keep people talking to each other in a civil, effective manner. We are there when and where you need us — on a roof, under a crawlspace, or in a trench analyzing problems or repair requirements. We meet with, and supervise, contractors on-site. Your association will benefit from our unique depth and breadth of experience. In one cost-effective bundle we combine strong legal, accounting, and construction skills with amazing attention to detail. We are your first line of defense when something needs to get done. We go on-site, analyze what needs to be done, meet with contractors, and give you our recommendations.